To claim this profile, please confirm you are Chris Manriquez. To follow this profile, please let us know your relationship to Chris Manriquez. The Carmel Christian varsity baseball team won Thursday's neutral non-conference game against PikeView (Princeton, WV) by a score of 19-4. RESULTWin Varsity baseball vs. APWHS. The Carmel Christian varsity baseball team won Wednesday's neutral non-conference game against Altmar-Parish-Williamstown (Parish, NY) by a score of 6-2. Chris' baseball stats have been updated for the loss vs. Hampshire. RESULTLoss Varsity baseball vs. Hampshire. The Carmel Christian varsity baseball team lost Tuesday's neutral non-conference game against Hampshire (Romney, WV) by a score of 5-3. Chris' baseball stats have been updated for the loss vs. Byrd. RESULTLoss Varsity baseball vs. Byrd. The Carmel Christian varsity baseball team lost Monday's neutral non-conference game against Byrd (Vinton, VA) in extra innings by a score of 7-4. Varsity baseball vs. Coastal Christian. Chris' baseball stats have been updated for the win vs. Gaston Day. RESULTWin Varsity baseball vs. Gaston Day. 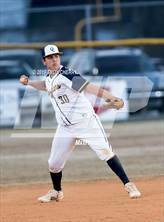 The Carmel Christian varsity baseball team won Wednesday's home non-conference game against Gaston Day (Gastonia, NC) in extra innings by a score of 3-2. The Carmel Christian varsity baseball team lost Thursday's away non-conference game against Wesleyan Christian Academy (High Point, NC) by a score of 19-2. Chris' baseball stats have been updated for the win @ Asheville Christian Academy. The Carmel Christian varsity baseball team won Saturday's away non-conference game against Asheville Christian Academy (Swannanoa, NC) in extra innings by a score of 6-3. RESULTLoss Varsity baseball @ Covenant Day. The Carmel Christian varsity baseball team lost Friday's away non-conference game against Covenant Day (Matthews, NC) by a score of 16-2. Chris' baseball stats have been updated for the win @ Concord First Assembly Academy. The Carmel Christian varsity baseball team won Monday's away non-conference game against Concord First Assembly Academy (Concord, NC) by a score of 5-0. RESULTWin Varsity baseball vs. Calvary Day School. The Carmel Christian varsity baseball team won Friday's home non-conference game against Calvary Day School (Winston-Salem, NC) by a score of 11-1. Chris had 1 photo tagged from the game against Carolina Royals. Chris' baseball stats have been updated for the loss vs. Carolina Royals. The Carmel Christian varsity baseball team lost Tuesday's home non-conference game against Carolina Royals (Charlotte, NC) by a score of 11-6.